Lights... Camera... TEACH! : FINALLY DONE!!! Whew! Life has been busy! Now with the holidays quickly approaching, things will only get busier. I am working on creating a more peaceful, less stressful holiday season. I am backwards mapping some activities that I want to make sure I do and learning to say NO to some things. It's hard, but I'm learning. One thing that I have worked consistently on is my Houghton Mifflin units. 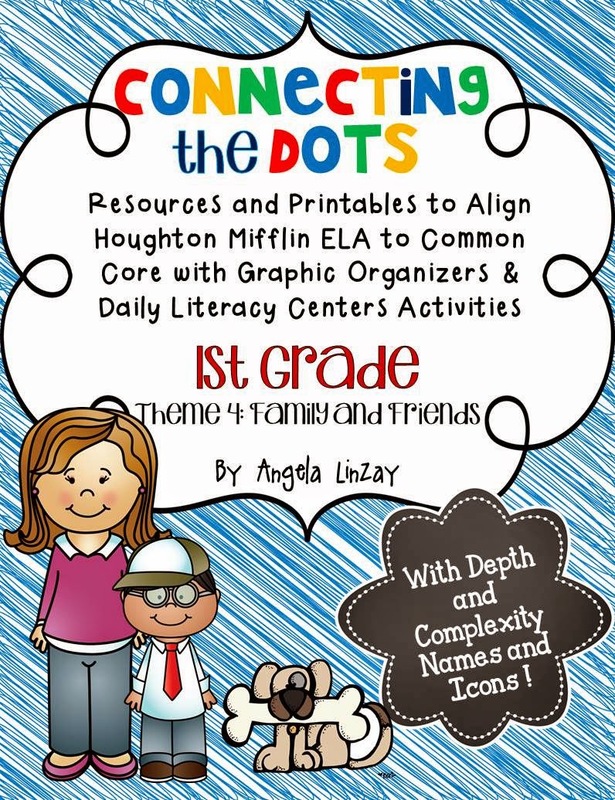 Since I'm teaching a 1/2 combo this year, I've decided to create resources to align our old Houghton Mifflin Language Arts curriculum to the common core standards. I did this for 2nd grade and many teachers had asked that I do it for other grades. Thinking maps for describing our character every week. There are 2 different levels. Level 2 requires students to use text dependent words. I LOVE this activity because it really creates a visual for my students to understand the vocabulary words in the story. This has also helped my English Learners tremendously! I love this activity!! 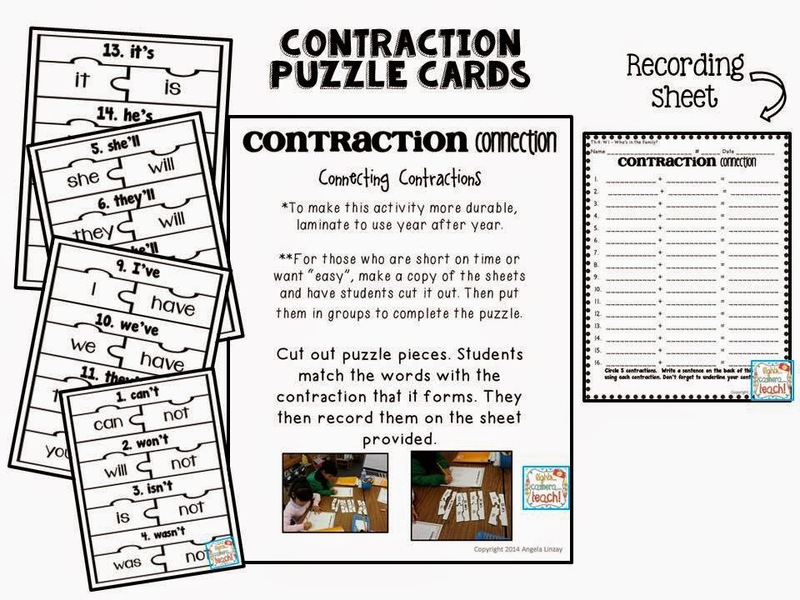 It's a fun way of learning contractions and my students loved putting the puzzles together! This picture makes my heart HAPPY!! I LOVE to see students working together for a common goal. :) These are my 2nd graders working on the contraction puzzles. Click on the picture below to direct you to my TPT store.